While services are converging in Telecoms, so are the executives that lead the top enterprises. 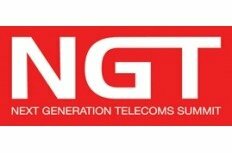 Miriam Holzman, VP of Content Production and Distribution for Fox Mobile Entertainment as well as cross Telco sector giants Bradford Duea, President of Napster, and Tom Saine, CIO of USA Mobility, have all confirmed attendance at the Next Generation Telecoms Summit North America next month. The summit, which will be held from June 17th-19th in Marina Del Ray, California, has been organised for the Telecom industry’s thought-leaders to combat the current economic crisis and unite in this unreliable climate. With its rapidly changing landscape, constant developments, and unique way of making the new seem old in a matter of weeks, the Telecom industry is incredibly fast moving and difficult to keep up with the ever-changing trends. In an arena where the lines seem to blur between technological vehicles and their method of delivery, it isn’t too often that the people who shape the way we communicate gather in one place to do so the old-fashioned way; in person. The summit is rightfully being dubbed `The Converged Services Summit,’ as now more than ever, the top leaders from all corners of the field recognize the need to understand how they are affected by each and every other service, especially during the current climate. Amit Singh, Director of IT, Technology Integration and Architecture for Verizon as well as Geoff Loui, SVP of Strategy and Marketing for Hawaiian Telecom represent how vast and committed these industry leaders are to more open communication and better understanding of how the industry will grow together as a unit. Over 50 other visionaries within the industry are set to attend the summit. Without the need for any type of mobile, blackberry, iPhone, Skype, or otherwise, it will be fascinating to see what the end result is, when these experts of communication have instant, one-on-one access to each other. If targets are achieved, North America could benefit from potential new business, which in turn will create more jobs and stability, plus cheaper calls for the consumer.